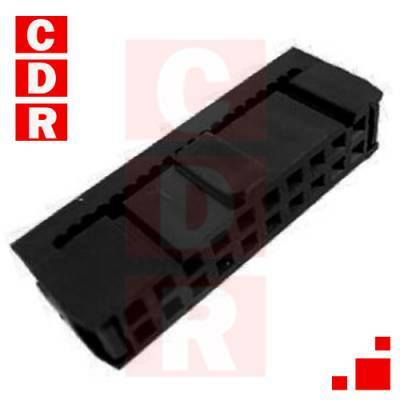 IDC06 CONECTOR HEMBRA P/CABLE PLANO 6 CONT. IDC10 CONECTOR HEMBRA P/CABLE PLANO 10 CONT. IDC14 CONECTOR HEMBRA P/CABLE PLANO 14 CONT. IDC16 CONECTOR HEMBRA P/CABLE PLANO 16 CONT. IDC20 CONECTOR HEMBRA P/CABLE PLANO 20 CONT. IDC26 CONECTOR HEMBRA P/CABLE PLANO 26 CONT. IDC34 CONECTOR HEMBRA P/CABLE PLANO 34 CONT. 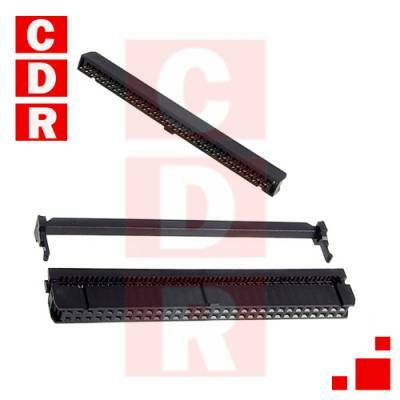 IDC40 CONECTOR HEMBRA P/CABLE PLANO 40 CONT. IDC50 CONECTOR HEMBRA P/CABLE PLANO 50 CONT. IDC60 CONECTOR HEMBRA P/CABLE PLANO 60 CONT. IDC62 CONECTOR HEMBRA P/CABLE PLANO 62 CONT. IDC64 CONECTOR HEMBRA P/CABLE PLANO 64 CONT. IDC64 CONECTOR MACHO RECTO P/C.I. 64 CONT.